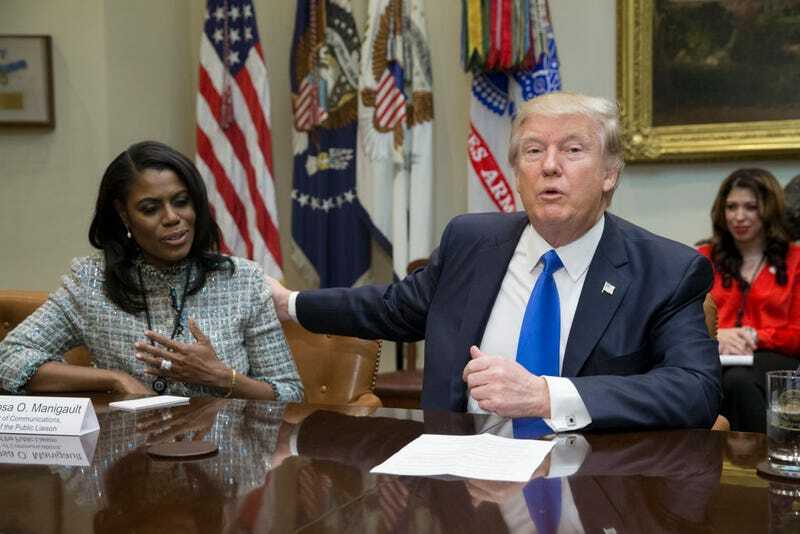 Wait, Trump Just Gave Omarosa a Position Doing What? Hold up, hold up, hold up. It seems that the White House has slipped a little news past us while we’ve all been focused on IHOP’s offer of “All You Can Eat” pancakes, which has been extended until Feb. 12. Omarosa Manigault—yes, she of reality-star fame—will serve as part of the presidential delegation to the Republic of Haiti to attend the swearing-in of Haiti’s new president, Jovenel Moïse. I know what you’re thinking: What the hell is the presidential delegation, and why are we going to Haiti to be a part of this? Well, stop me if you’ve heard this before. Turns out that Moïse has been surrounded by controversy and has no political experience. He ran on a platform of creating job growth. Basically, he’s the Haitian Donald Trump. He even has the Trump speech pattern down. I’m just unclear as to why the real Omarosa had to be a part of this. Can’t Haiti create a Haitian Omarosa? Surely there are better things for her to do, like watching videos on YouTube or running a hot bath for the president. Oh, come on, you know you thought it, too. No, really; what does Omarosa do? Let me know in the comments.